This is a quote from a book I’ve been reading called The Happiness Project by Gretchen Ruben. 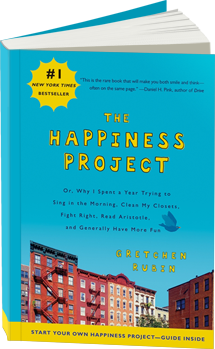 It is one of the four splendid truths she uncovers during her year-long quest to find her inner happiness and make herself an overall better/happier person. I haven’t finished the book yet, but I’m enjoying it very much so far and it’s a thoroughly appropriate read for where I am in my life right now. I’ll write more about it once I’ve finished. Everything came out wonderful! I can’t wait to try out some more of her roast chicken recipes. The next on my list is Peruvian Roast Chicken with Avocado Salad. Mmmmmmmm. Yes - I look like a nerd. But I was excited to be sandwiched between these two. I’ve also been doing some Brooklyn apartment hunting. 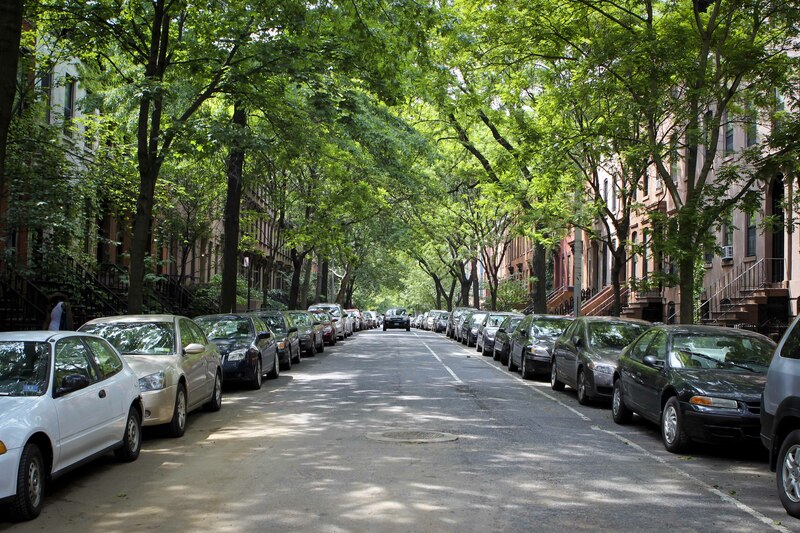 I’ve seen about six apartments in the last couple weeks – none of which feel right… oh Brooklyn brownstone on a majestic tree-lined street… why do you elude me so? Two of the apartments I saw last week didn’t have doors to any of the “two bedrooms” they boasted. One of them didn’t even have a sink in the one bathroom. And of course these apartments cost thousands of dollars a month. Insanity! However, now that we’re going month to month in our current apartment, I feel much more relaxed and comfortable with the fact that we’ll just wait until we find the right thing. But this is what I’m talking about… ahhhhhh. Last Thursday I helped my friend Beck shoot some tests for an amazing new stop-motion music video she’s putting together. It was so cool to see the process that goes into stop-motion. It’s kind of magic. THE OFFICIAL OPENING OF HELLO LONESOME IN NYC THIS FRIDAY 5/27!! Yes, that’s right – Adam’s film is opening at the Cinema Village theater this Friday night where it will run for a week. If you live in NYC, you should totally come!! You can buy tickets online right HERE! Check it out – on the Marquee! So exciting! Oh – and if that’s not enough, we got contacted by Jdate, because they’re in love with the short film Adam surprised me with at our rehearsal dinner and they want to use it for a national television commercial! Craziness. Many of you have seen it already – but it’s so special so I’ll post it again for you in case you haven’t seen it. So that’s been my world since we last met. I felt a void not blogging over the past two weeks so I’m going to try to carve out some morning time for myself so I can make it more of a regular thing again. I missed sharing with all of you! Hi there!!! you´ve been pretty busy!!! Love the cooking!! and love that street!! I see you living there!!!! but with a complete bathroom and doors!!! The news about the movie, I wish I were there!! and the commercial? wow! I hadn´t seen the video before and believe me, it´s a piece of commercial, but what´s more, it´s your real life and you are living it!! and that is what makes it even more precious!! Hope you have a very nice rest of the week and you can find THE apartment for you!!! If Adam’s video will be used in a national television commercial, thus bringing in plenty of money to JDate, be sure you are adequately compensated. I want that food! Perhaps you can make me and the little one dinner when we come 🙂 I’ll bring some wine from Italy. I LOVE that video. Totally see why they would want it. You two will be rock stars. Wishing for huge numbers for the film! I’m so jealous of your culinary skills, your eye and now, your Joel and Pudi. Best of luck with bK and let’s go HELLO LONESOME! Awesome Brooklyn Street shot. I might try to recreate. I LOVE Joel! You’re life is so fabulous.